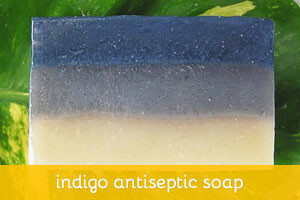 This is a natural antiseptic soap with lavender and peppermint essential oil. The rich blue color is obtained with natural indigo powder. True indigo is a natural dye that has been used by ancient civilisations in Egypt, India, Mesopotamia and Asia. 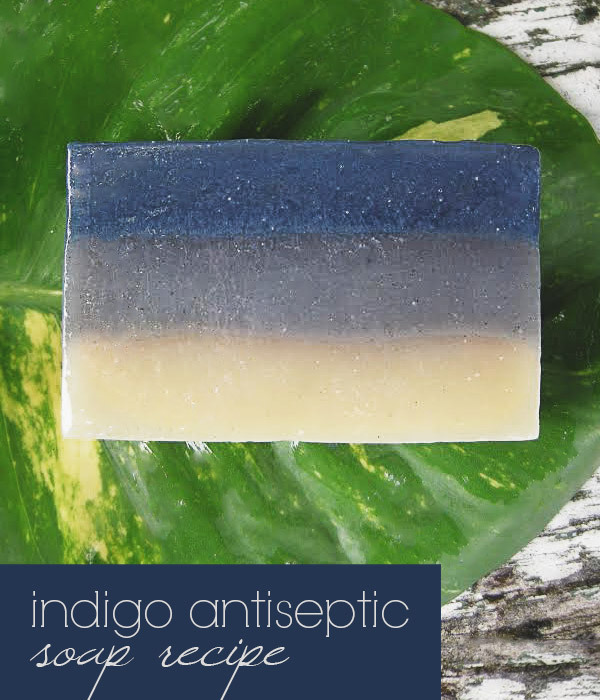 Indigo is a potent extract obtained from a variety of different plants from tropical and subtropical regions, and is said to have many healing properties. Native Americans used it for healing wounds, since it helps inhibit the growth of microorganisms. Its natural antiseptic properties will not only help heal sores and small lesions, but it also has curing properties towards psoriasis, rashes, mouth sores and eczema. Use standard cold process procedures. Yields about 3.2 pounds of soap. In case you prefer to make a larger (or smaller) batch, I converted the recipe to percentages. Use soapcalc (or another lye calculator of your choice) to get the specific amounts you need for a given batch size.